 Hammerly Oaks is conveniently located in the Spring Branch area with I-10, Highway 290, Beltway 8 and 610 all in close proximity. The area is known for its great schools that are a short walk or drive away from our location, such as Spring Branch Elementary, Spring Woods Middle, The Arbor, St. Mark Lutheran, Cedar Brook Elementary, Buffalo Creek Elementary, Ridgecrest Elementary, Northbrook High, and Spring Woods High Schools. For quality medical treatment, you need look no further than the nearby Memorial Hermann Hospital, Woman’s Hospital of Texas, Memorial Hermann Greater Heights Hospital, Campbell Medical Clinic, and Optimus Medical Clinic. Dine out at exquisite establishments such as the Bon Ga Korean Restaurant, Kobe Japanese Restaurant, Peli Peli Kitchen, and Hunan Chef. Afterwards, catch up with some friends at your local Marq’E 23 IMAX, Studio Movie Grill, and Cinemark Memorial Movie Theaters or grab some drinks at the Spring Branch Tavern, Goode Company, and Soju Bar.